Go hang out at the beaches of Southern California. 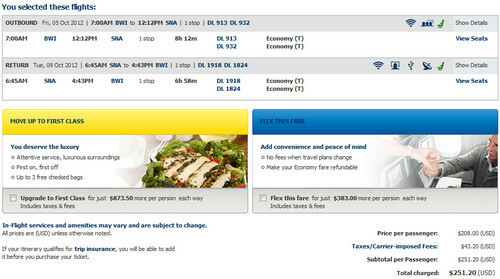 This fare has good availability until May 2013. October 5th – 9th. Valid for travel from August 2012 – May 2013. It is an additional $20 after January. Use ITA Software Matrix Airfare Search and flexible month search to see availability. Must purchase 10 days in advance of departure.